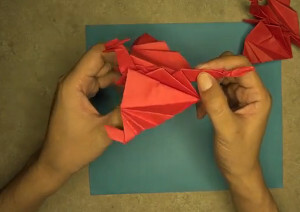 Learn how to make origami! 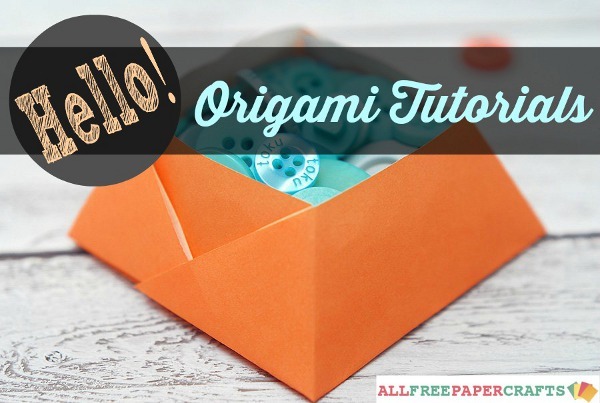 We love paper folding over at AllFreePaperCrafts.com, which is why we’ve rounded up nine of our most popular origami tutorials! From animals to flowers to boxes and more, these projects are not to be passed up! You simply must begin with the classic origami crane. There is no better origami animal to start with! 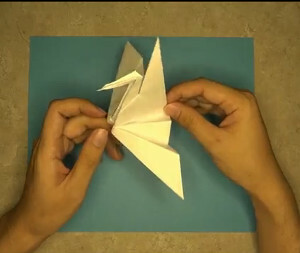 Even if you’re an origami master, the crane is simply a must-know paper folding project. Perfect for kids, these giraffes are easy to make and totally adorable! The patterned paper really adds a fun touch. Once you’ve warmed up with some of the more basic tutorials, be sure to check out this dragon. Disclaimer: it does not breathe fire. Start making flowers with another classic. The origami lily is absolutely stunning, and can be used as a centerpiece. This paper flower will never wilt! 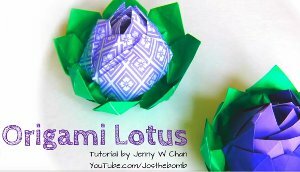 The lotus is an impressive paper flower to make. The leaves frame the blooms beautifully! This tutorial is extremely impressive and so much fun to follow along. 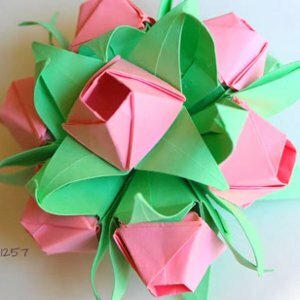 While it will take a little longer to make than one of the smaller origami projects, this bouquet is not to be passed up. 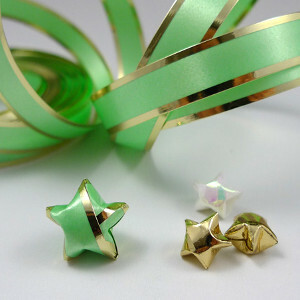 Endlessly popular, these stars will go great with any paper craft! Use them as embellishments for your next project. They’re so small and stunning. This tutorial is a practical idea for your next project! 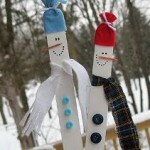 This is a great group craft with the kids, and you can use these bookmarks over and over. 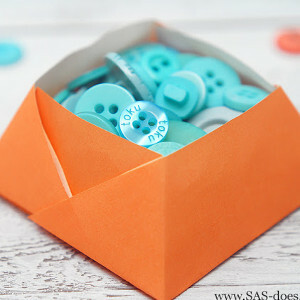 This little box is a great idea for storing your small craft embellishments. The box comes together easily, and you won’t believe how sturdy it is! BONUS: Win Paper! The Everyday Papers: ColorMates Smooth Cardstock and Kraft Cardstock from WorldWin Papers are basic paper packs that every crafter needs! 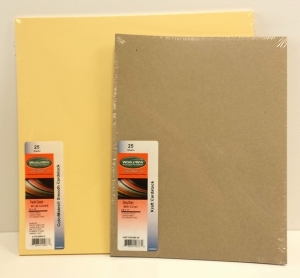 We are giving away one 12 x 12 pack of ColorMates Smooth and Silky Cardstock in Fresh Cream and one 8.5 x 11 pack of Kraft Cardstock in Grey. Contest ends 6/22/14. What is your favorite origami project to make? Wild and Wonderful Giveaway from Favecrafts! There’s something eternally fun in turning a plain piece of paper into a 3-D shape. 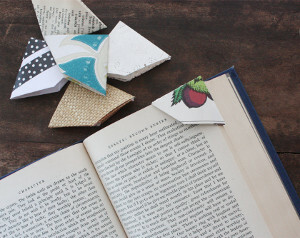 Whether it’s making a paper fortune teller, a paper airplane, or an origami box, the art of paper folding has been around for years, and it’s an easy and fun way to get started crafting. 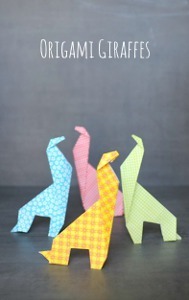 For young and old lovers of origami, there’s Wild & Wonderful Origami, a great book filled with 35 wild animal patterns that you can create in no time! If you love turning a plain piece of paper into something wild and extraordinary, you simply must sign up to win this awesome book! Wild & Wonderful Origami also comes with a set of 50 pieces of origami paper, already decorated and cut to suit your needs. With the help of this book, you can make paper cranes, foxes, zebras, giraffes, pandas, chameleons, crocodiles, snakes, and more! All the paper is already decorated to suit the animal, so all you have to do is fold! Wanna win Wild and Wonderful Origami? Head on over to the giveaway page and register to win today. You have until October 16th to enter, and you can enter to win once a day…so the more you return, the greater your chances of winning this awesome book! You can also gain additional entries by blogging about this giveaway or talking about it on Facebook, Pinterest, or Twitter. 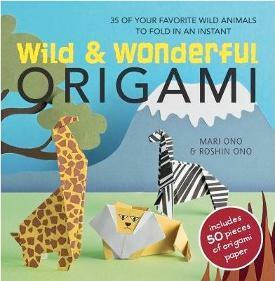 Get all the info at the Wild & Wonderful Origami book giveaway page! Good luck! For some reason I always related iris folding to flowers! It was only recently that I figured out the “iris” is the center of the folding. It was rather a “duh” moment for me, but that’s what makes crafting so much fun. You are always learning something new and I take those bits of knowledge and spread the tidbits around my life. Iris folding has helped me be more patient. You need to create crisp folds and you need to follow your pattern to give the best results. I also learned the best kinds of paper to use, although you can fold with just about any kind or type of paper. I hope to get some iris folding projects posted on FaveCrafts.com soon! Have you created using the iris folding technique? Share with us!!!! With the 35 easy to follow projects in this book, kids can fold up a wide range of toys, animals and more. 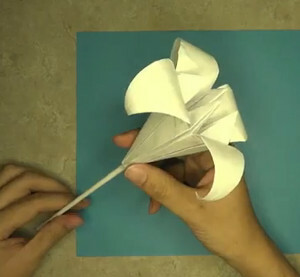 Origami is an inexpensive craft that only requires folding, no cutting or gluing. Read the full review and enter to win a copy of the book here. Contest ends December 22, 2009. You can enter once daily, so return often to improve your chances of winning! 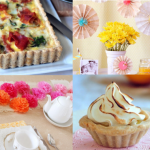 Guest Blog: What Are the Easiest Hobbies to Pick Up? To shed a little more light on what a hobby really is, consider the reasons why people start one. Some people seek hobbies to relax. Others have specific goals, like building their self-esteem or reaching a certain level of expertise. And still there are some people who simply want to exercise their brains. So a hobby can be learning a new language, taking up a sport, mastering a craft, making art, or collecting specific things. Despite the kvetching about my overscheduled kids, I actually do have a few hobbies, like running. Once both my kids entered elementary school, I found that I had some free time every morning. So I laced up my running shoes one morning and I’ve been running ever since. Running is a cheap hobby and, other than a pair of sneakers, doesn’t require a whole lot of skill. Not to rip off Nike, but anyone can just do it. 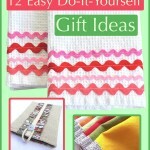 There are a slew of other hobbies that are easy and inexpensive to start. Below are just a few suggestions. Starting and maintaining a collection is something anyone can do, and the type of thing that is collected can vary in dollar value and size. For instance, my six-year-old son collects baseball cards, packs of which cost anywhere between two and twenty dollars. My seventy-year-old mother collects Lladro figurines, each one costing at least a few hundred dollars. And the talk show host Jay Leno collects cars and motorcycles, an expensive hobby that takes more investment. If I were starting my first collection, I would probably try my hand at something more akin to my son’s baseball cards. Collecting is probably the easiest hobby to start because you don’t need any special knowledge or equipment. It can immediately be started on a whim; for instance, you might buy wind chimes while on a beach vacation and then decide to start wind chime collection. Or someone gives your kid a comic book for her birthday and thus begins her lifelong collection and obsession with Archie and Friends. You can collect stamps, certain types of toys, baseball cards, comic books, action figures, model trains, certain types of clothing or accessories like hats or rings, cookie jars, figurines, posters, or rocks. You can set the parameters of your collection, narrow down the type of item by time span, material, or manufacturer. Learning a new game or mastering an already learned game can really boost a person’s self-confidence. The “analog” games are the ones that I would try over the current regimes of PSP and Wii. Board games, card games, word searches, crossword puzzles, and Sudoku are everywhere you look. If you buy a daily newspaper, chances are you will find a word search or the familiar Sudoku grid inside. Take a trip to your local public library. Whether it’s learning a new language or simply reading books of any genre, the library is commonly overlooked, forsaken in favor of the quick Google search and impulse Amazon purchase. And, don’t forget-the library has movies, too. Some types of crafts are harder to learn than others. But with a good set of written and illustrated instructions, some crafts are universally easy. Sure, every book ever written on any type of craft will advertise itself as being so easy that anyone can do it. But these three crafts have the added incentive of being cheap, too. Though there are special papers that you can buy, any foldable paper will do. Magazine advertisements are perfect because they are colorful as well as plentiful. Colorful flyers that somehow wind up in your mailbox are another source of origami paper. 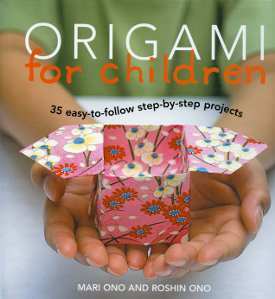 And you can get origami books from the library or check out video instructions via YouTube.com.